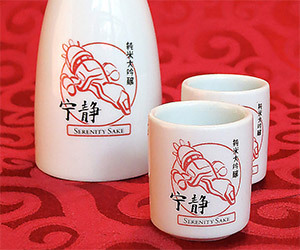 Designer Ian Leino is offering this terrific "Serenity Sake" bottle and cups set with the beloved Firefly drawn in a traditional Japanese style. 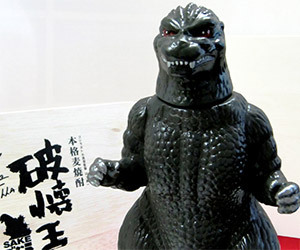 Godzilla is attacking Tokyo, but this time he's filled with full-scale wheat shochu. This terrific, limited edition bottle is amazing and should be on your shelf. Kampai!